· “As it is written, there is none righteous, no, not one” (Romans 3:10). We may see a doctor save a life or do other good works, but God, however, looks on the heart, and sees ALL the things we do. You are one heart beat from Heaven or Hell. · “For all have sinned, and come short of the glory of God” (Romans 3:23). In this condition, we are all condemned and one heart beat from Heaven or Hell. · “Wherefore, as by one man sin entered into the world, and death by sin; and so death passed upon all men, for that all have sinned” (Romans 5:12). Let us all be honest with ourselves—we are going to die. Therefore, right now, we are one heart beat from Heaven or Hell. · “For the wages of sin is death. . .” (Romans 6:23a). Some of us are paid by the hour or month for the work that we do. God says that we will pay for our own sins, or accept the payment Jesus Christ has already made on Calvary. · “. . .but the gift of God is eternal life through Jesus Christ our Lord” (Romans 6:23b). Jesus has already paid for our sins, if we accept His gift of eternal life. We are one heart beat from Heaven or Hell. · “But God commendeth (demonstrated) his love toward us, in that, while we were yet sinners, Christ died for us” (Romans 5:8). God loves us so much that He gave His life that you and I might be saved. It is His wish that no one should perish. You are one heart beat from Heaven or Hell. · “That if thou shalt confess with thy mouth the Lord Jesus, and shalt believe in thine heart that God hath raised him from the dead, thou shalt be saved” (Romans 10:9). Do you believe that Jesus is God’s Son, that God raised Him from the dead, and that He is now in Heaven? You are one heart beat from Heaven or Hell. 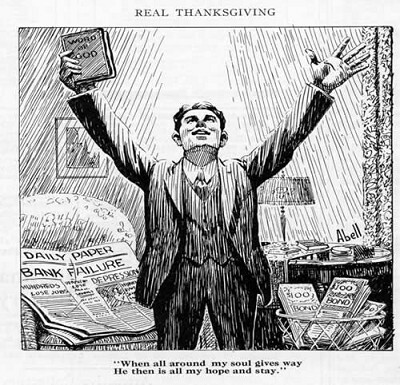 · “For with the heart man believeth unto righteousness; and with the mouth confession is made unto salvation” (Romans 10:10). God said that you must accept Jesus Christ in childlike faith, and tell others that you have. You are one heart beat from Heaven or Hell. · “For whosever shall call upon the name of the Lord shall be saved” (Romans 10:13). God said we must call on Him and invite Him to come into our hearts. If we do this, He will save us, because we have then trusted our soul’s eternity to Him. You are one heart beat from Heaven or Hell. Invite Him into your heart and trust Him to give you eternal life today! 3. Begin to read the Word of God and let it guide your life. The book of John is a great way to get to know your Savior. 5. Share your trust in Christ with others and invite them to do the same.